Perfect little fingers, toes, eyes, ears and nose. It's important to keep them clean and healthy. Here we provide easy tips on how to do just that. Never put anything directly in your baby's ears, eyes or nose. Wipe any material from the eyes, mouth, nose or outer ear with a soft, moistened cotton round. Focus on getting the outside clean. Even though the drugstore holds lots of ear cleaning tools and formulas for the inside, only your healthcare provider can tell you if they're necessary. Be very careful when cleaning your baby's ears — clean what you can see — never put anything deep into your baby's ear canal or nose. 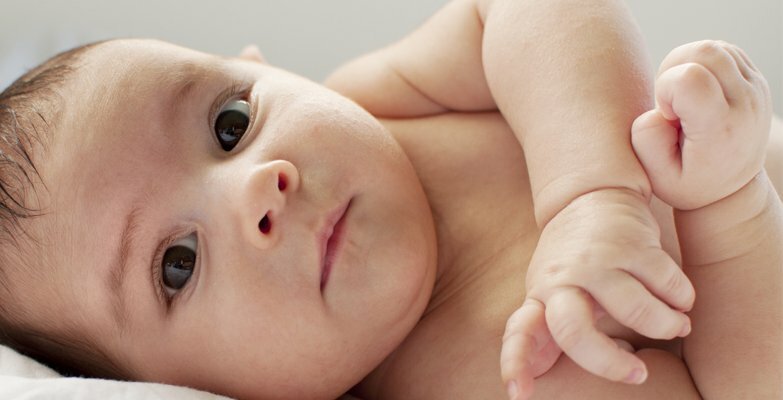 If your baby is congested, there are a few things you can do to provide gentle relief. Talk to your baby's doctor or other healthcare provider about using saline nasal drops or a rubber bulb syringe (to suction nostrils) to ease congestion.